It’s unclear whether William and Kate’s tot will be a prince or princess. But one title already is all-but certain: World’s most famous child. 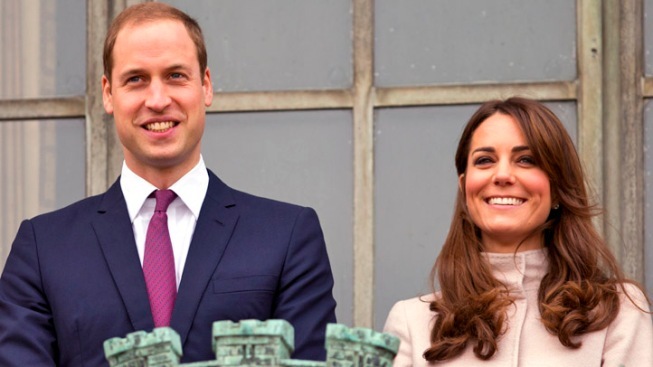 Kate and William are expecting a little prince or princess. Prince William made his royal debut in 1982, just under 11 months after 750 million people worldwide watched his parents wed, setting the stage for the ongoing spectacle that’s been his life for 30-plus years. 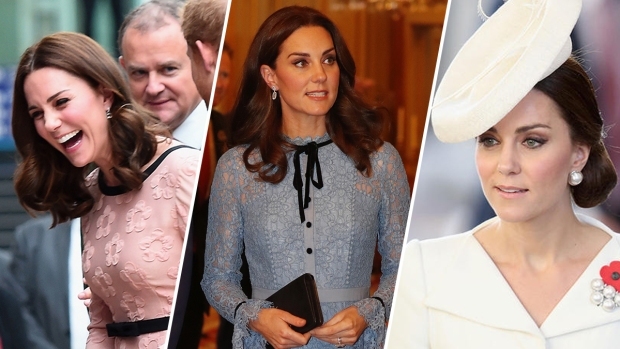 Monday’s announcement that the Duke and Duchess of Cambridge are expecting the third in line to the British throne to arrive next year is likely to delight fans – among them, the 2 billion ordinary folks who watched the couple’s wedding on TV last year. It’s unclear whether the tot will be a prince or princess. But one title already is all-but certain: World’s most famous child. The in-utero royal seems destined to draw unprecedented attention at a time of Internet-driven celebrity news mania, setting up the scion as a potential heir to a media misfortune. Prince William, whose birth only added to the celebrity of Prince Charles and Lady Diana, knows better than most the deepest pitfalls of being born famous. The young prince witnessed his parents’ nasty split play out in the press. He was barely 17 when his mother was killed in a 1997 car accident that many saw as the tragic product of an out-of-control paparazzi culture. While the media world has changed at light-year speed in William's lifetime, the age-old fascination with royalty remains rooted in the popular culture. The interest stems, at least in part, in trying to live vicariously through people with seemingly better lives than the rest of us. The puncturing of faux fairy tale bubbles only adds to the soap opera aspect of the allure. As we noted shortly before William and Kate’s wedding, there’s an increasing premium these days on celebrities as entertainment, rather than as entertainers. That yields the manufacturing of figures famous for being famous – or infamous – in bids to feed the insatiable gossip news and Reality TV machines. Queen Elizabeth II, whose birth was big radio news, has seen all this unfold in her 86 years. Her 1953 coronation marked the first such spectacle of the television age. Now her great-grandchild – and possible down-the-line successor – stands to be the first British monarch born when the Internet is king. That’s a lot to put on a child, especially at a time when any public act becomes instant online fodder and pictures of celebrities' babies command huge bounties. It’s impossible to fully shield or even prepare a youngster for such intense, lifelong scrutiny. William, who seems to have turned out okay, hopefully can use hard-earned experience gained from a life in the spotlight to help protect his heir from its glare. Like any first-time parents, William and Kate soon will experience great joys. But unlike the rest of us, they could be in for some royal pains.